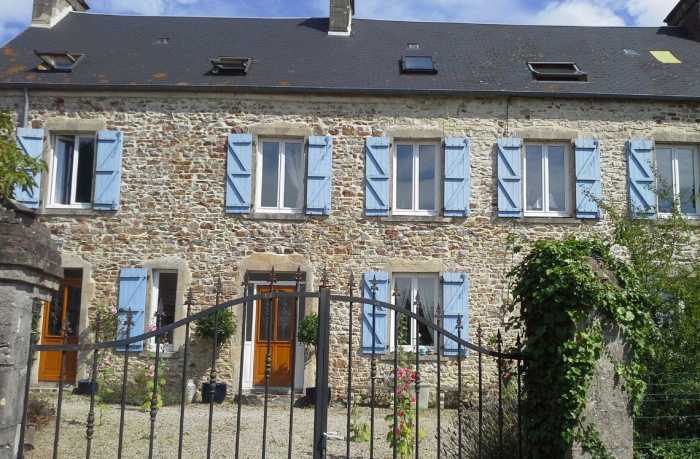 This is a wonderful opportunity to purchase a large Farmhouse which has been renovated to a high standard. The accommodation is over three floors and comprises of two magnificent and airy reception rooms with extensive views over the open countryside. There are five bedrooms (one en-suite with a dressing area) and two further bathrooms. There is also a large barn which would be perfect for stabling horses, there is also an open barn. The property is located 5 minutes from the bustling town of St.Sauveur La Vicomte and the ferry port of Cherbourg is only thirty minutes away. There is a main line railway station with regular trains to Paris in Valognes just 12km away.